Great new price plus a new metal roof and updated kitchen!!! 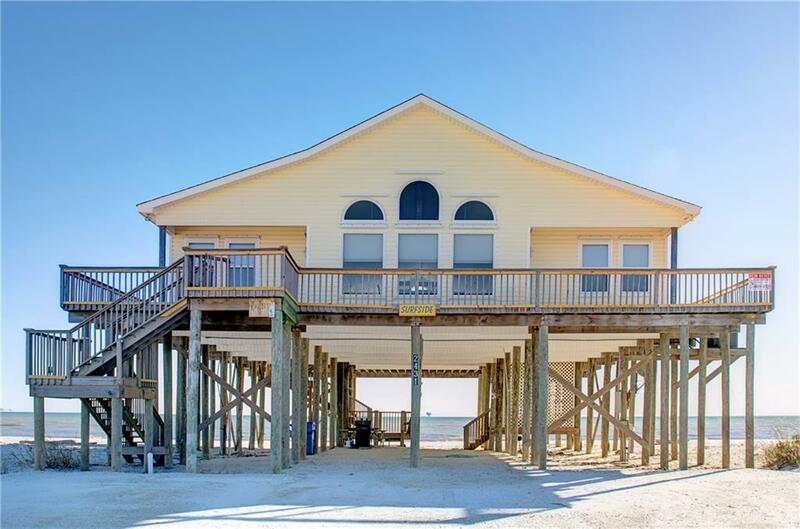 Take a trip to the beach house of your dreams and you'll never want to leave! 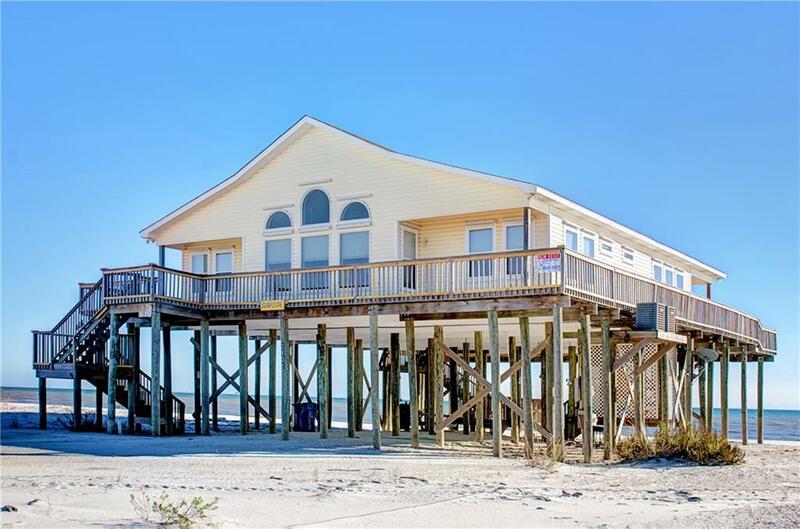 Located on beautiful Dauphin Island on a 99' gulf front lot, you'll enjoy not only watching the dolphins and the waves from your front porch, but seeing water from every window in the house. Covered porches front and back with a wide deck wrapping around the entire house. Always a place to find sun or shade and a large area underneath to enjoy the shade and still be within a few steps of the waves. Inside you'll find the most spacious setup perfect for entertaining friends or large families. There are two living areas with lots of comfortable seating whether you're watching TV in one area or enjoying the second living arrangement with the floor to ceiling windows and a front seat view of the ocean! 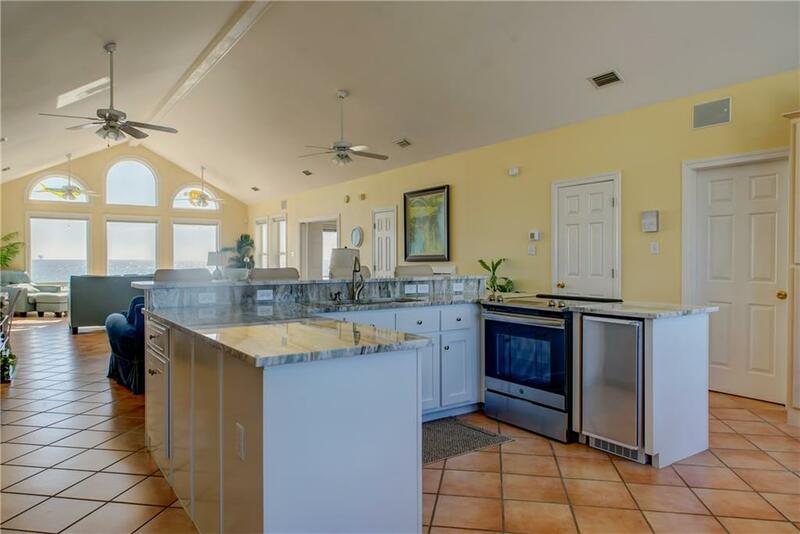 The updated kitchen with new stainless steel appliances is situated in the middle of the house and has a dining area to the north that overlooks the waters of the Mississippi Sound and to the south, the Gulf beach. You can have it all in this wonderful home with tiled floors throughout, a fireplace and soaring ceilings. There are two bedrooms on the east side of the house with a shared bath in between and a master bedroom on the southwest corner of the house with a french door to the deck, and still another bedroom that has a bath which can be private by simply closing the door to the great room. Keep it for yourself or rent it out part of the year. It also has a fabulous vacation rental history. 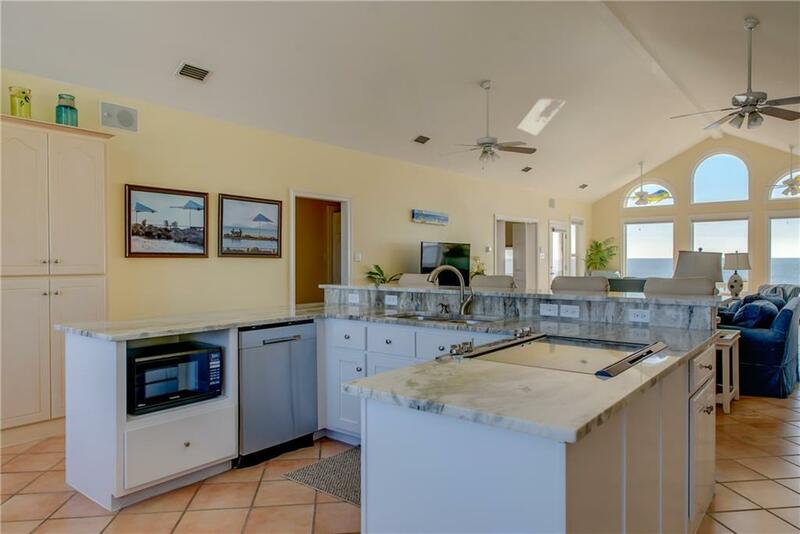 Island life is great and this house is the perfect place to start living the dream. Listing courtesy of Dot Small of Alabama Realty, Llc.